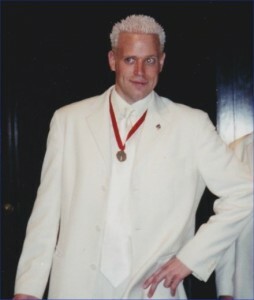 Home / Members / Chapter Eternal / Passing of James Sabina, tenor of MetropolisBecome A Member! T he Society mourns the passing of James Sabina, tenor of popular comedy quartet Metropolis, which medalled five times in the early 2000s and performed hundreds of shows around the world. James leaves behind two young children, and his quartet mates are working to offer support to the family. Further details may be found on the quartet’s web page.